Lea Michele joined her Glee cast-mates for a private memorial for late actor Cory Monteith at the Los Angeles studio where the show is filmed, yesterday. United in their grief, the Glee cast and crew gathered to share stories of the 31-year-old actor who died on 13 July from an alcohol and heroin overdose. 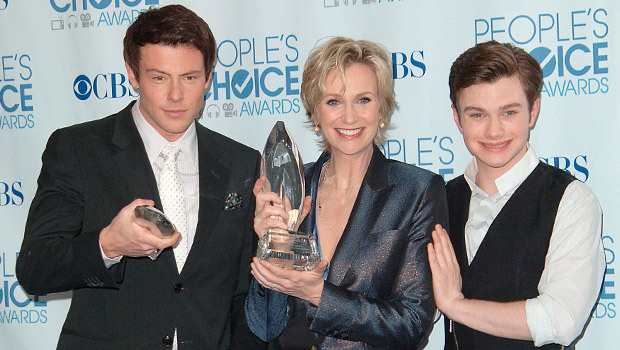 Jane Lynch, who plays Sue Sylvester, told one news site that it was nice to all be together again. ‘It was beautiful. And still really sad, but it was beautiful,’ she said. Lea Michele, who is said to have made her first public outgoing on Saturday to visit the hotel where Cory died, has been keeping a low profile since Cory’s death and chosen to stay with friends in Los Angeles. 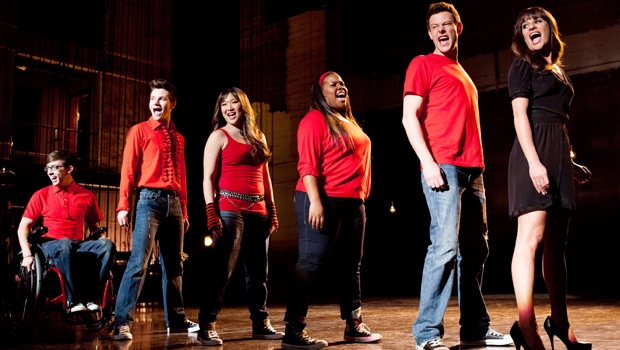 Glee co-producer Ryan Murphy has said that he will allow Lea to take the lead on the show, and how it will proceed in the wake of her on and off-screen partner’s tragic death. Last week it was reported that Lea has agreed to be a part of Glee’s 5th season, in which a tribute episode to the star has confirmed where Cory’s character, Finn Hudson will be killed off. We’re pleased Lea can rely on her co-stars for support when production for season 5 begins in August. Got a tablet? You can now download marie claire magazine straight to your iPad, Kindle (just search the store for marie claire magazine’), Nook orGoogle Nexus.